Check it live at opensource.appbase.io/dejavu. 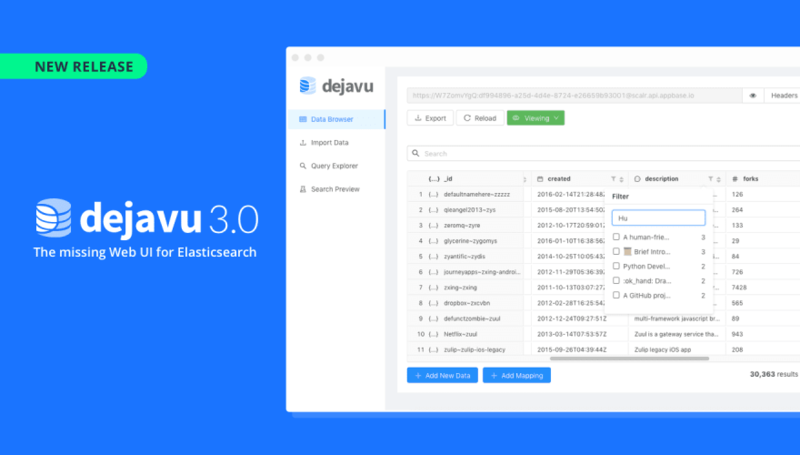 Dejavu 3.0 — the missing web UI for Elasticsearch is here 🎉 🎉! It’s been an amazing journey thus far: Since our first release in 2015, we have crossed a lifetime total of 475,000 Docker pulls, have over 11K active Chrome extension installations, and over 5,100+ stars 🌟 on our Github repository. to improve performance by 2x-3x and reduce Dejavu’s memory footprint by over 50%. You can read about the full changelog here. While building appbase.io — a hosted search service over the past 3 years, one of the pain points we continually kept coming across from our users was how to build the right search experience. It turns out that there is a steep learning curve associated with understanding how a search engine like Elasticsearch works. In a nutshell, building a search experience today requires being able to import data without breaking a sweat, tweak mappings and the data itself as you are testing stuff, and being able to tune the queries related to search. 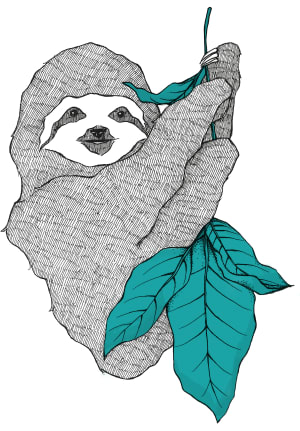 Dejavu is an open-source MIT licensed Web UI for Elasticsearch. It demystifies the experience of building and testing a search UI. 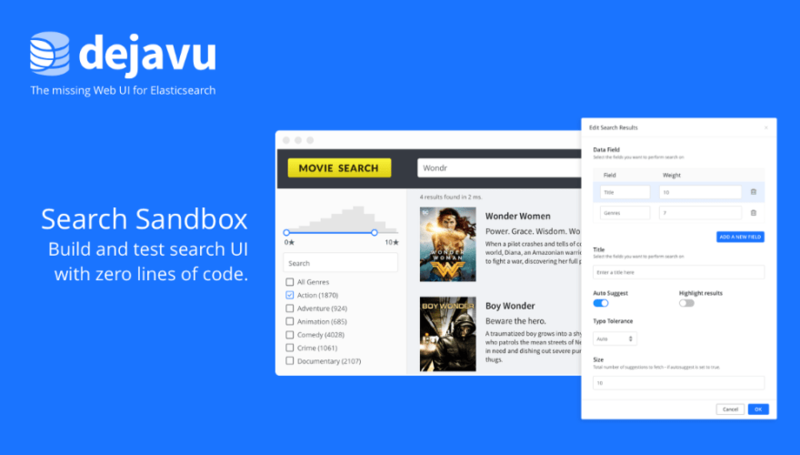 Dejavu started out as a rich data browser for Elasticsearch and with the 3.0.0 release, it allows you to build and test the search UI for your Elasticsearch index. 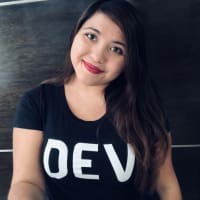 What can you do with Dejavu 3.0? Write search queries with a GUI composer. Create multiple profiles for testing search UI views (save every search setting you update, and build search for multiple views or A/B test an individual view). 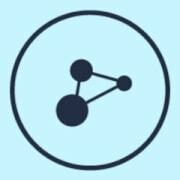 You should try Dejavu as a hosted app at opensource.appbase.io/dejavu, and get it as a Docker Image or as a Chrome Extension.